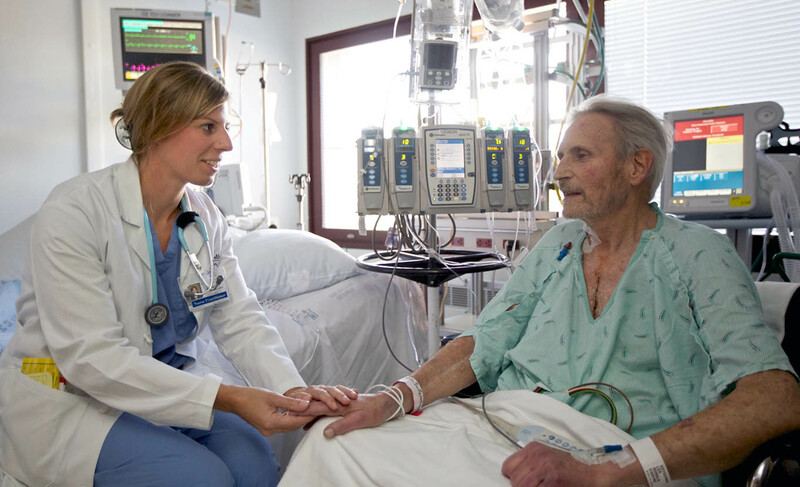 The UW School of Nursing has re-opened enrollment to its adult-gerontology acute care nurse practitioner track of the doctor of nursing practice, or D.N.P., degree program. This decision once again allows nurses to receive highly specialized training to care for adult patients in acute and critical care settings, as well as respond to a significant workforce need for nurse leaders in this area of health care. “Recent changes in health care – created in part by aging populations, a rise in the incidences of chronic conditions and federal mandates that have reduced the number of hours a resident physician can work – have really increased the need for collaborative healthcare providers, such as advanced practice nurses, with expertise in acute care,” said Hilaire Thompson, UW associate professor of biobehavioral nursing and health systems and a co-leader of the adult-gerontology acute care nurse practitioner track. The UW School of Nursing was first in the region to offer an adult acute care track for advanced practice nursing, but had to suspend enrollment in 2010 as a consequence of the U.S. financial crisis. A new grant from the Health Resources and Services Administration, which is part of the U.S. Department of Health and Human Services, is enabling the school to once again enroll students in this area of specialization. Hospital staff and physicians in the area felt the loss when the program—and resulting specialized nurses—disappeared. The acute care track of the D.N.P. program is designed to teach nurses to understand the complexity of today’s hospital, how modern health-care systems work and how to be leaders and patient advocates within those systems, as well as how to influence health care policy at the local, state and national levels to improve health care for everyone. Current UW School of Nursing graduate students may apply for the track starting in October. Prospective UW School of Nursing students may apply in January 2015. To learn more about admissions, visit nursing.uw.edu.